CAR2GO is a community of thousands of drivers who share cars – a community that offers you all the convenience, flexibility and freedom of owning a car without any of the hassle. Owning a car is a big expense. A really big expense. Most of the time, your car just sits in a parking spot – while you’re at the office, sleeping or out of town on vacation – but you’re still paying for it. Why? Because. We all do it. But there’s a new way to do things – a new kind of economy, a dynamic lifestyle that doesn’t yield to the old rules. Our customers are people who understand that owning a car is a serious headache and a chronic drain on your finances: mechanics, insurance, licensing fees, parking, carwashes and more. 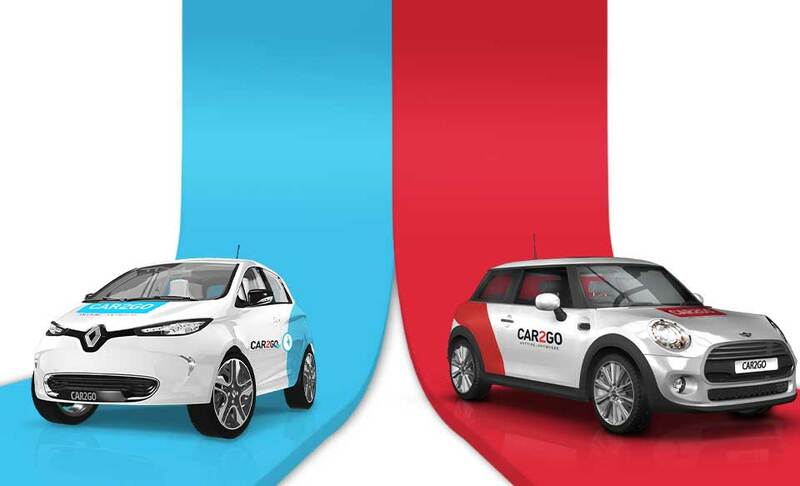 With Car2Go you have your very own car, but only when you need it. Want to drive to a wedding? The beach? IKEA? Go on a trip or go to a meeting? No problem. We’ve got you covered. Just reserve a car on our website or through our mobile app, whether last minute or ahead of time (depending on which plan you choose) and you’re ready to go. It’s just like having your own car, but without the hassle. We offer two options for car sharing throughout all the major cities in Israel. The Round-Trip cars – available in Tel Aviv, Ramat Gan, Givatayim, Herzeliya, Raanana, Rishon L’Tzion, and Jerusalem. Coming soon to Ashdod. The Round Trip option is for intermediate to long trips both in the city and from one city to another. You can reserve a vehicle ahead of time or right when you’re ready to go. The car will be waiting for you in its very own designated parking spot. When you’re done with the car, just bring it back to the same spot. The charge is calculated according to the length of the reservation and the distance travelled based on the plan you choose when you register. The One-Way cars – Available in Haifa and Netanya. Coming soon to the Krayot . Our electric vehicles are available for short trips within the city. Using this option, you can reserve a vehicle and take it from one of our many designated parking spots and return it to any one of the other designated parking spots throughout the city. Have we already mentioned? Sharing is caring. When you use shared transport, you’re not just saving on vehicle costs, you’re taking care of the environment by reducing the number of cars on the road.